In Greek Mythology, Aphrodite, the Goddess of Love, is hailed as the creator of the rose. Legend has it that all roses were white until she injured herself with a thorn and stained a rose with her blood. Looking for the perfect romantic gesture to shower your sweetheart with affection and show just how much love you hold in your heart? When it comes to elegance and adoration, nothing says amour better than a classy bouquet of the most beautiful blooms — and what could be richer in romantic appeal than a cluster of red roses? 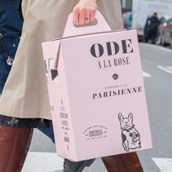 Here at Ode à la ROSE, romance is our specialty, and we bring you unique, handcrafted, high-end bouquets that are modern and sophisticated but still age-old and elegant. As a time-honored symbol of romance, the red rose is brimming with love, and our hand-tied red rose bouquet conveys the feeling in a manner that’s both classic and chic. This updated take on the standard red rose bouquet will make just the right statement for a romantic delivery. Inhale Romance With a distinctively sweet, somewhat musky scent brimming with subtle, lustful intoxication, roses woo wonderfully. 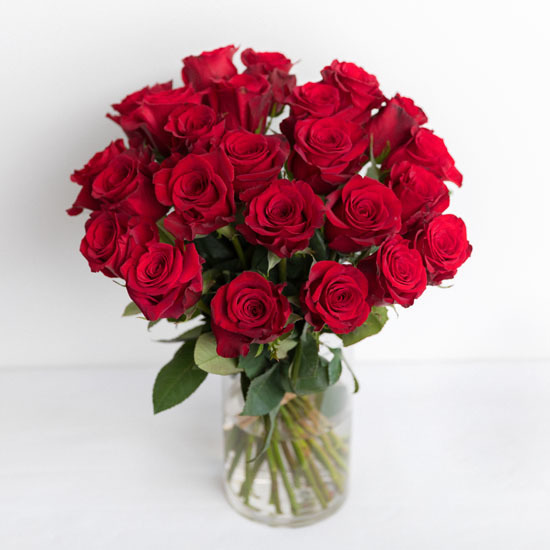 From the moment your darling opens her box of beautiful roses, the aroma of the red rose bouquet will wash over her, filling her heart and her senses with sweetness and the rush of romance. Touch Love With its thick, velvety petals, every touch of a rose is a brush with desire. These rich, beautiful blooms will remind her of you every time she dips her head down to smell their sweetness and brush her lips against their soft petals. Feel the Ode à la ROSE Difference With expertly handcrafted bouquets in unique arrangements, fresh blooms sourced from the best farms in the world and flowers delivered fresh in water and chic gift boxes, Ode à La ROSE brings you high-end floral arrangements like no other. 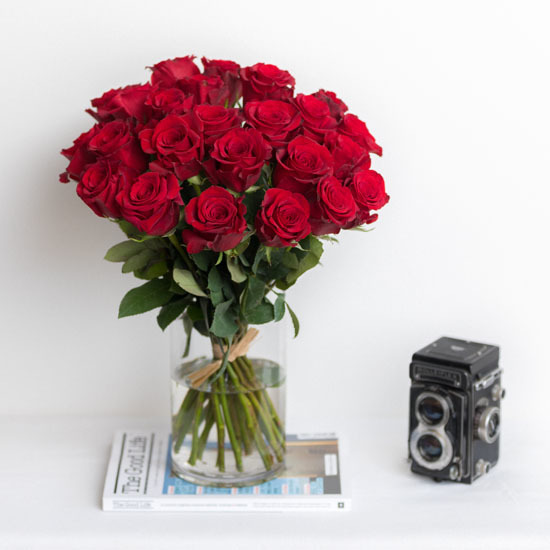 Buy a red rose bouquet and deliver romance to her door today.